Among the materials that Dozorme cutlery uses for its finest pieces, there is one that never ceases to amaze and fascinate us because of its beauty and texture: the shagreen. Halfway between leather and mineral, it has a smooth appearance that reveals small rows of sparkling pearls. 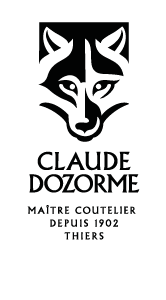 A true jewelery material that enhances Le Thiers® pocket knives by Dozorme. Indeed, this exceptional leather gives them a chic and precious touch while giving them a resolutely contemporary look. Because just like the blade of a knife that must be perfect, the handle is a separate piece that requires to be dressed and adorned with the finest fabrics. At the same time, rare and precious, shagreen is a ray or shark leather used for many years in cabinet making, casing and more recently in leather goods. It must be said that it is by far the most resistant on the planet. This extraordinary resistance comes from the microscopic texture of its fibers that are crossed (like a fabric), instead of being parallel as on any other traditional leather. It is the tanning of this skin made of naturally crossed fibers which makes it possible to combine a beautiful skin granular, soft, extraordinarily resistant and of an original beauty. 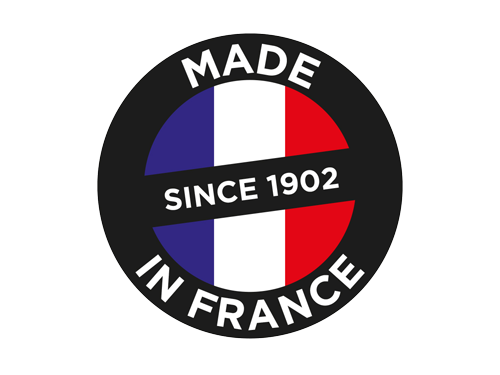 Its name comes from its inventor, Jean-Claude Galluchat, a Master Craftsman of Louis XV who was the first, in the 18th century, to develop in France the use of this exceptional material. He had the habit of using this material to cover objects or small furniture on behalf of the Marquise de Pompadour. Nowadays, the species of European rays being protected, the main and legal origin of the stingray is Thailand, where there is an abundance of a variety of stingray that is not on the list of endangered species and authorized to fish. 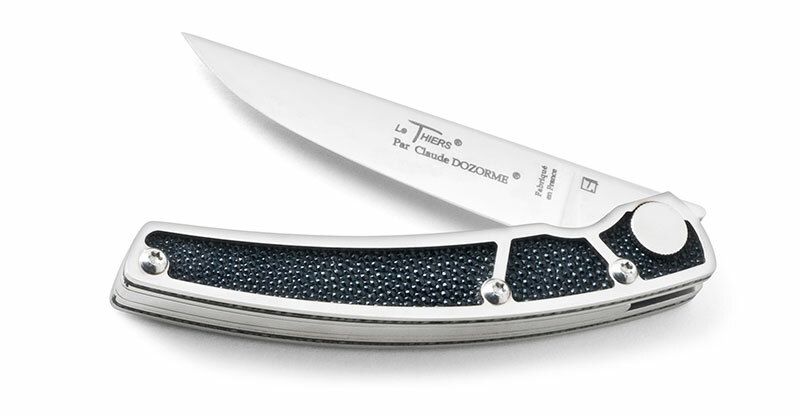 And do not hesitate to “shop” our pocket knives Le Thiers® Elégance Galuchat on our online sales site, La Grande Coutellerie !